High quality corded and ridged finish. 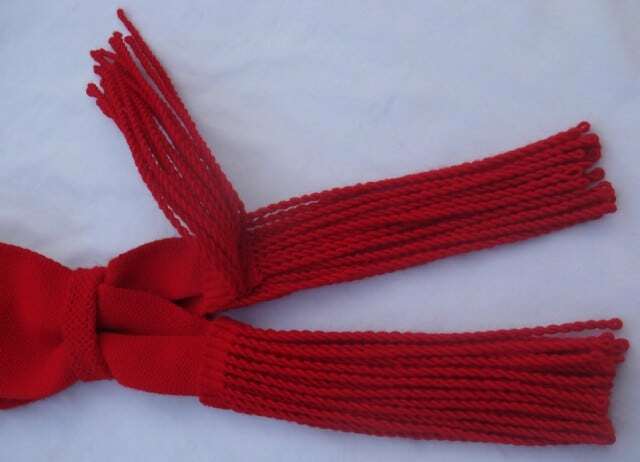 36 fringes in each tassel. Made to defence specification and standards. Sizes range from 54inch to 76inch. Weight 165 to 275 grams. Discount applies for larger quanities. Measure from top of shoulder diagonally to the bottom of the belt/top of knot.